Dr. Ronald Stewart, using special imaging equipment, believes coins dated to 33-47 AD depict the life of Jesus. Stewart says the hand-struck coins were part of a popular art form called “Portable Coinage Art” first introduced by Grecian emperors in 336-300 BC and later popularized by Roman emperors. People of financial means would have sets of coins created to memorialize significant people. These coins would depict notable events of a person’s life in pictorial form starting on one side of the coin and continuing on the other side. People considered “coin art” quite collectible and it was popular from 300 BC to the 14th century AD. The coins Stewart studied were of Jewish origin. The images involved a number of well-known events in Jesus’ life including healing of the blind man, the trial of Jesus before Pontius Pilate and the healing of Jarius’ daughter. According to Stewart, one coin portrays a number of pictorials illustrating Jesus’ “life, miracles, arrest, trial, execution and entombment” as recorded in the Gospels. Researchers originally thought the coins portrayed the life of another significant Jewish person, but using a high-tech imaging device, Stewart was able to get more detail of the coin illustrations. Dr. Stewart says only the life of Jesus portrayed in the Gospels completely explains all the images. Since Rome and Jerusalem were persecuting Christians at the time, Stewart believes the maker crafted the coins in such a way that only those familiar with the life of Jesus would recognize their significance. 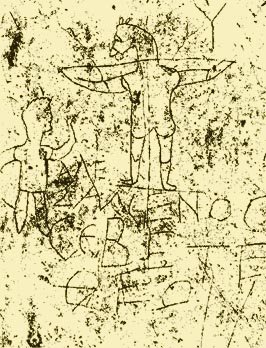 Stewart suspects the coins were part of a larger collection — upwards of 50 coins — which would be needed to fully depict the life of Christ. 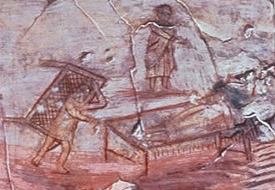 Prior to this, the earliest known image of Jesus was found in the Syrian city of Dura Europos. Dated 235 AD, it depicts Jesus healing the paralytic. The first coin to depict Jesus was a Byzantine gold coin dated around 692 AD. Based in Texas, Ronald Stewart, ThD, PhD is a historian, history archaeologist and imaging inventor. Stewart studied the coins using an instrument he first invented 25 years ago and steadily improved called the Infinite Microscopic to Macroscopic Imaging system (IMMI). Various levels of government (federal and state), agencies, museums and archaeologists use IMMI to enhance images. The instrument provides a 3D image of the coin and reveals details invisible to the human eye. Stewart plans to go on tour with his findings in 2014. Very interesting, Dean. I’d never heard of these coins but would love to see one up close and personal. Yeah, so would I. The fellow is going on tour with the coins, so who knows. Previous PostWhy would a new graveyard horrify feminists and infuriate the radical left? Next PostWhat does it mean to have Great Faith?